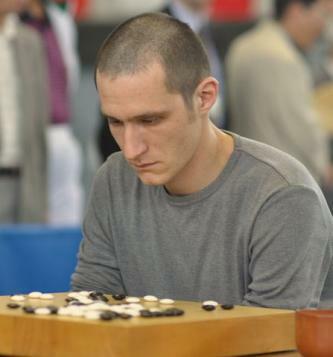 The European representative, Csaba Mero, lost in the fisrt round of the Chunlan Cup. It was expected, as he was paired against Japans Iyama Yuta Meijin. Here you can see the game. 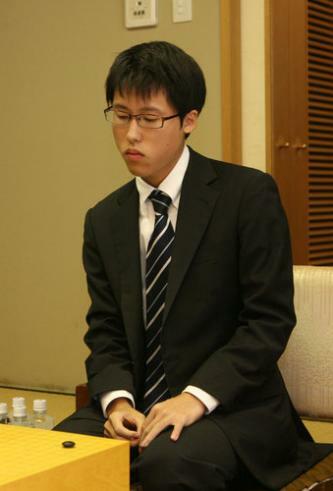 Iyama Yuta was black and won by resignation. 30 is too early, no need to settle the shape so early. the real aji was at C9. 37 took me by surprise. It is very thick move eliminating all aji, but it i was glad to play the big fuseki move at O17. I spent a lot of time on 66, but the move i played was not the best. I shall play the ko at P11. There are plenty of local ko threats to give a reasonable result for white. The continuation in the actual game was what all along my plan which i formed at 66, but i could not read the continuation after 98. My feeling at 66 was that there must be a better way to settle the shape around 98, but when we got there i found no time to start anything with the bad aji in that area. I felt very painful to exchange 98 for 99. The peep at L6 was not sente in the actual game, so i should exchange it before 102. 114 i must connect at B3. After white takes the B2 stone there is no more chance to attack. After 127 i was just looking for a place to resign. I also think so. A pity he had such a hard opponent. Was not a bad game. Csaba played well!